this is a tutorial to make your own sweet slowpoke plush! DO NOT use this pattern or tutorial i made to make a profit. if you do make one please do not claim as your own. credit me in the information below and add a link to this tutorial. this will help everyone find it so they can make there own! i hope you all like it, this took me forever to put this one together. 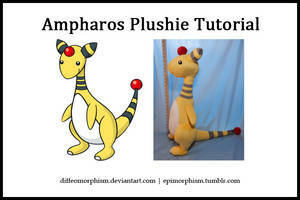 i am planing on making more tutorial because i would love there to be more plushie makers out there and i would like to support those who are starting. EDIT! : Now there is now a digital patter for those that want to use it made by the sweet AriadnesThreads please feel free to check them out! heck ye!! go for it OVO! i am excited to see what you make !! these are all very helpful! I'm obviously not going to copy you exactly but these help me get an idea of what to do for plushies. thank you! Thank you so much this helps since I want to make my own quilava plushies, I only have one question and that would be, at what point in time should the eyes be embroidered if your wanting to embroider them? of course you can make a plush as a gift . I made a slowpoke using this tutorial! I just supersized it. How do i see the head together and should i close both head and body first? to sew the head to the body what i do is i close the head but leave the body open. this way it has a bit of give as i work with it but it is up to you. the stitch i use is a latter stitch, if you are not sure how to do that there are many tutorials on youtube and on DA that can help you out. sadly i have not personally make a tutorial about how to do that stitch. it's alright! thanks so much! Sorry to bother you but I understand all of your pattern except for attaching the smaller part of the mouth to the larger part. Do you sew all around the small part to the larger part or only a little bit? I hope this isnt confusing. I don't quite understand but I will try and explain anyways. For the mouth I have two peices, the shape I wanted it to be then the peace that went under the upper lip that helped it to give volume and stick out. For that peice I sewed it just along the short line that I pinned that was near the opening of he mouth that I had cut out. Then I flipped it right side out and pinned it to the face and stuffed it. At this pint I found the lower lip to be to long so I just sewed the upper lip on completely and then cut the lower lip to the right length and sewed it back together. After that I sewed the bottom of the lower lip to the face stuffed it then sewed the top of the lower lit cealing it off. if you are still confused I can go into my files and edit it lines on where I has sewn. With red lines if that were to help you more . Sorry I didnt explain it well but what you just wrote is what I needed. Thankyou!! This is my first handmade plushie so I've never done something where you have to plan how you sew and turn things inside out. Im used to crocheting my toys haha. I am really glad it helped! And don't worry about it. i would love to make one but i would have to sew it bye hand how hard do you think that would be? Not hard at all. I sewed this one by hand. It did not take to long and was rather simple. You should not have to hard of a time. Hi! I really like this tutorial and was thinking about making this slowpoke. This will be my first pokemon plush so i was wondering if this was easy/simple to make. the plush over all it rather simple but i have heard some feed back that the lower lip is a bit confusing but if you take your time and read over the tutorial is explained there. and if there is anything you find confusing feel free to ask. and i can explain in more detail. I use smooth minky fabric there is a lot of sites that sell it. For some of my other plushies I use anti pill fleece. Ooh. Sorry to bother you, and thanks for answering my question. It's totally okay! If you have any more questions feel free to ask through comments or notes. i have a very embarrassing video i put up a few years ago about how to sew up seems www.youtube.com/watch?v=kfh2zE… . if this does not help i know a few other tutorials that might help you. Wow only 12! I did not even sew at that age ^w^ you are getting a awesome heads start. i am really happy it helps you! when you are done i would love to see! awesome! what fabric are you planning to work with?